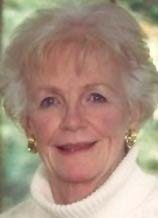 CEDAR FALLS - Ilene C. Berg, 83, of Cedar Falls, died Wednesday, Feb. 1, at Sartori Memorial Hospital. She was born July 1, 1928, in Mason City, daughter of Patrick and Ellen McMenamin Harold. She married Philip S. Berg on May 1, 1954, in Mason City. He died Jan. 12, 2009. Mrs. Berg graduated from St. Joseph's High School and received her registered nurse degree from St. Marys School of Nursing, Rochester, Minn. She served in the U.S. Air Force during the Korean conflict. Survived by two daughters, Lisa A. Berg of St. Paul, Minn., and Nancy K. (Jeff) Johnson of Minburn; five grandchildren, Eric (Jenn) Johnson, Anna (Ryan) Clelland, Kyle (Trina) Johnson, Wynne Johnson and Kathryn Johnson; and eight great-grandchildren. Preceded in death by two sisters, Katherine and Mary Harold; and two brothers, Donald and Dennis Harold. Services: 10 a.m. Saturday at St. Patrick Catholic Church, with inurnment at a later date in Fairview Cemetery. Full military rites will be conducted by Cedar Falls AMVETS Post 49. Visitation from 4 to 6 p.m. Friday at Richardson Funeral Service, where there will be a 6 p.m. vigil. Visitation also for an hour before services Saturday at the church. Memorials may be directed to Sartori Memorial Hospital Foundation, church or Cedar Valley Hospice.